This unique blend contains 125 mg of CBD isolate and is mixed with 100% pure olive oil. 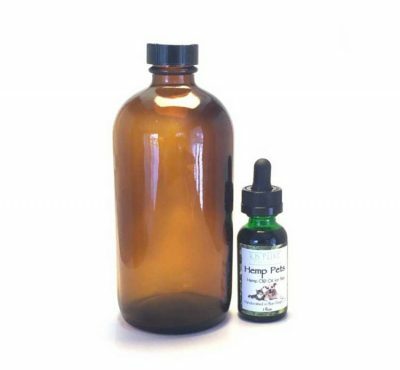 Our hemp oil extraction process is always eco-friendly and has no fats and lipids included. 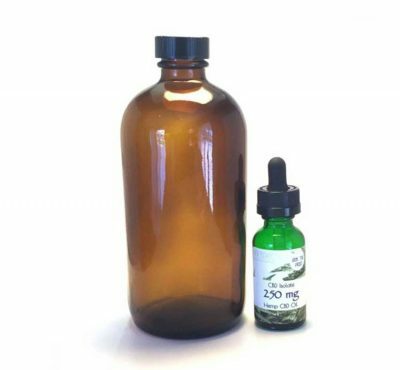 Our extraction process doesn’t include any other cannabinoids other than CBD, thus making it a very potent and concentrated formula. 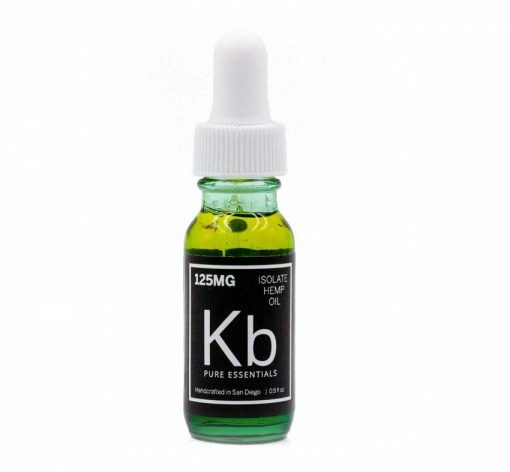 KB Pure Essentials always ensures that you get the best products that match your holistic lifestyle. All our products are made in small batches and tested in labs to maintain quality control. CBD isolates contain 99.9% cannabidiol and 0.1% water — they contain 0% THC and no other cannabinoids. They are also referred to as single molecule cannabinoid products. The advantage is that one can use these and pass a THC drug test. 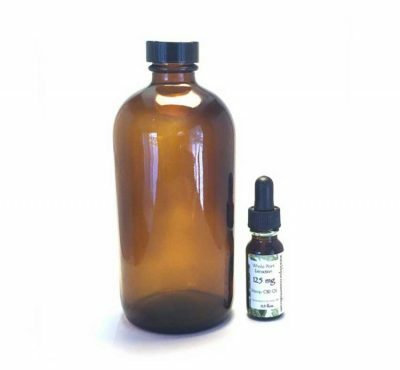 However, without the entourage effect, CBD isolates have a more narrow therapeutic window; they are more hit-or-miss, and thus, generally less effective. But for conditions that respond well to CBD isolate, it can be just as therapeutic as a whole plant extract. There are several epileptic conditions where CBD isolate has shown to be extremely helpful. Directions: Every person’s body chemistry is unique, and dosages must be determined by the user. SHAKE WELL BEFORE EACH USE. I bought this during the Earth day event at Balboa. I’m buying it again. I have hip, back, knee and wrist pain (carpal tunnel), and thyroid issues. I take this in the morning and evening before bed (insomnia). It helps tremendously with my constant pain. The first time I took it I was in shock I didn’t wake in pain and that I didn’t have pain the entire day. I’m so happy that I found a relief even though I still have no idea why I have this hip pain. Thank y’all so much! I started with this strength of CBD and was very pleased with the results. Helped with my inflammation, anxiety and sleeplessness. I took it in the morning and at night. I have since moved up to a stronger version that has not only helped me get through my terrible withdrawal symptoms from coming off of prozac, but it makes my anxiety and depression issues completely manageable. Never again will I need prescriptions for my anxiety and depression now that I have CBD!